It´s Ana Castro here! Today is the day to present you our new Designers that is going to join our team. 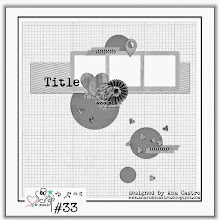 The current DT is going to be arround but with new designers to bring you even more inspiration. I want to give a big thanks for all the girls who applied, I was very happy and proud to know that in such a short time will earn such a talent group of people that want to show their jobs here with us. It was not a easy task to choose, after all each work is unique! I tried to mix up the styles and countries to complement our team and to bring the best of the scrap from everywhere. This new line up term will be here to inspire us from August to November of 2013. Thanks again girls for trusting in us and welcome to Scrap&Music. É a Ana Castro aqui com vocês! Hoje é o dia de apresentar as nossas novas Designers que irão complementar esse time de talentos! O DT presente irá continuar por aqui firme e forte, e agora o time cresceu para trazer mais inspiração para vocês! Eu quero agradecer a todas que enviaram a sua inscrição, fiquei muito feliz e orgulhosa de ver que em tão pouco tempo conquistamos muitas pessoas talentosas e que gostariam de fazer parte desse grupo. Não é uma tarefa fácil escolher, afinal cada trabalho e talento é único. Eu tentei buscar estilos diversos e de vários lugares para complementar o nosso time e para trazer o melhor do scrap em todo o lugar! Este é o novo time de talentos que irá nos inspirar de Agosto a Novembro de 2013. Obrigada por vocês terem se inscrito, meninas, e sejam bem-vindas ao Scrap & Music! 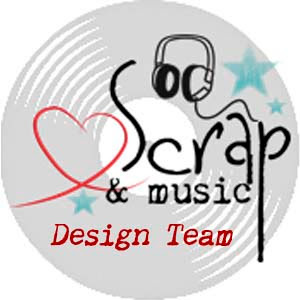 I' m very happy joining Scrap&music's DT!!! Congrats to all the new designers!! I am so happy and excited to join such a wonderful team and site! Obrigada pelo carinho e pela confiança! É maravilhoso poder compartilhar o que se ama! Parabéns meninas, sejam muito bem vinda!!!!! Cool Im very happy and excited to join a wonderful team!! Parabens gurias, sejam bem vindas. Congratulations to all especially Kylie.